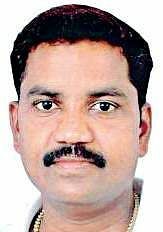 Independent BBMP councillor from Sagayapuram ward, Elumalai, 40, who was in a coma, died at a private hospital in Bengaluru, early on Thursday. BENGALURU: Independent BBMP councillor from Sagayapuram ward, Elumalai, 40, who was in a coma, died at a private hospital in Bengaluru, early on Thursday. He was admitted to Santosh Hospital on November 11 for a minor surgery. On November 13, Elumalai slipped into a coma, from which he did not recover. Family members had alleged that Elumalai’s condition was due to “wrong treatment”. He was later moved to Vikram Hospital.Mayor Gangambike Mallikarjun said the BBMP commissioner will be writing to the Karnataka Medical Council for a probe.